Story time enchantment continues with Moonlite’s individual story reels! Add Karent Katz’s Where is Baby’s Belly Button? to your Moonlite collection and introduce your child to a wonderful tale they’ll want to hear again and again! Slide the story reel into the Moonlite projector (sold separately). Snuggle in with your child and enjoy beautiful and vibrant illustrations, accompanying in-app story text and sound effects! Read and re-read Where is Baby’s Belly Button? Then, stock your bookshelf with classics and new favourites like The Ugly Duckling, Curious George and Chicka Chicka Boom Boom. 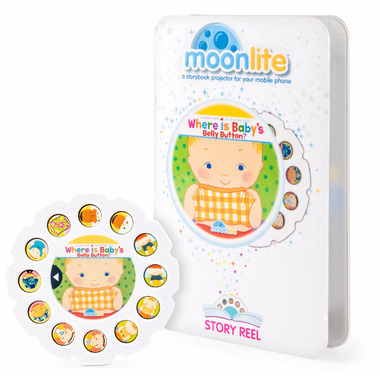 Cozy up for story time with Moonlite’s Where is Baby’s Belly Button? 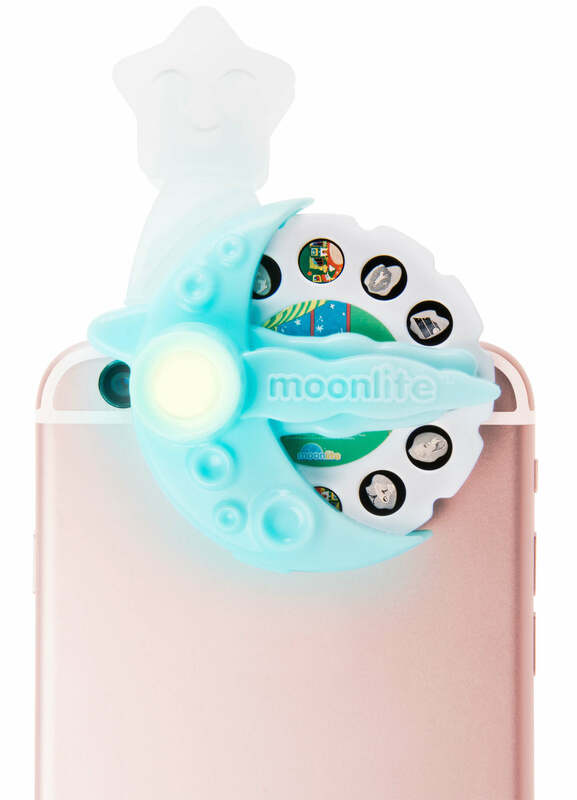 Insert the story reel into the Moonlite projector, clip the projector onto your smartphone (not included) and project beautiful and vibrant storybook illustrations onto any surface! Includes: 1 Story Reel, 1 Activation Card, 1 Quick Start Guide.